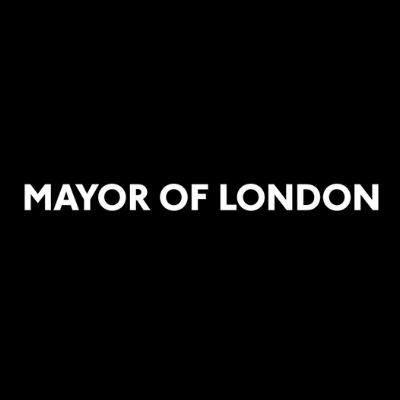 The Mayor, Sadiq Khan, is calling on Londoners with great ideas for transforming their local areas to bid for funding from his Crowdfund London initiative. Crowdfund London helps raise money for community-led projects across the capital. Sadiq launched this year’s funding round on 4 February at Tottenham Café Connect in Haringey, which has been transformed from a dilapidated bowling club into a thriving community hub thanks to Crowdfund London. The café is an example of how civic projects funded ‘from the crowd’ can create a place for a diverse community to meet, cook and share food grown in the garden, learn new skills and – crucially – provide activities for young people in the area as a means of giving them focus and direction. The Mayor is calling on Londoners to take inspiration from projects such as Tottenham Café Connect and seize the opportunity to propose something transformative for their community. He is also calling on London’s businesses, foundations and philanthropists to rally behind these projects. Civic crowdfunding platform Spacehive is once again helping deliver the programme and entrants have until 1 May to apply for up to £50,000 each in funding. This is the sixth round of Crowdfund London and it is backed by the London Economic Action Partnership (LEAP) – the local enterprise partnership for London. Last year, the Mayor pledged nearly £600,000 to 26 local projects in 19 boroughs. The Mayor of London, Sadiq Khan, said: “This is people-powered regeneration in action and we want more Londoners with great ideas for improving their local communities to get involved. “I’m also calling on businesses to join me in supporting these brilliant projects, which enable our city’s diverse communities to play an active role in shaping the future of their local areas. LEAP member, Alexandra Depledge MBE, said: “Real magic happens when communities come together. Local people know what is best for their communities and Crowdfund London is all about getting these voices heard. LEAP has recognised this, with our backing to many fantastic, creative campaigns across the city. Founder and Chief Executive of Spacehive, Chris Gourlay, said: “Spacehive believes people want to help change their local area – but we need to make it easy. Communities across the capital are teeming with great ideas for improving spaces and Crowdfund London is about bringing the best of them to life by unlocking the funding and support they need – from the Mayor, businesses, boroughs and thousands of other Londoners.